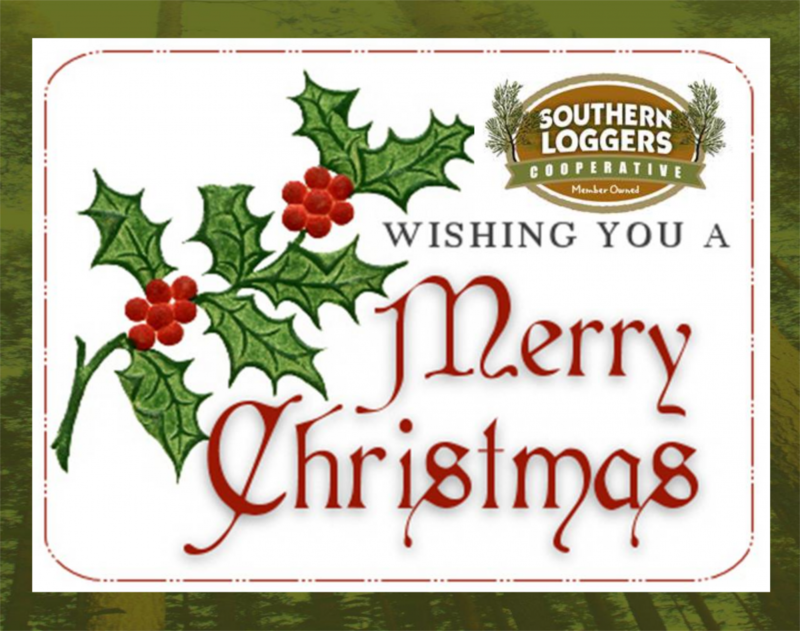 Merry Christmas & Happy New Year from your Southern Loggers Cooperative Staff! We would like to wish all of our members a very safe, merry and joyous holiday season. Thank you for another great year. We are looking forward to 2016. The office will be closed beginning 12/24/15 and will reopen for normal business hourse on 12/28/15. Thank you again for your continued patronage and support.